Find and use one of our Blackwoods coupons and deals. Track the status of your order via Account pag. Keeping a small business going can be hard work! With so many balls to juggle, deadlines to meet and customers to serve, making sure you have all the supplies you need shouldn’t be another worry to deal with. 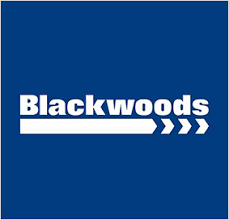 After 140 years supporting Australian businesses, Blackwoods has learnt a thing or two about what businesses of all shapes and sizes need. That’s why we created Blackwoods Xpress, a one-stop online shop stocked with all the every day supplies to keep your business running, including tools, workwear, safety gear and much more. Blackwoods Xpress has all the brands you love at great prices, delivered on time direct to your job site, anywhere in Australia. You can count on Blackwoods Xpress to get you what you need, when you need it, so you can get on with doing what you do best.